Planning a trip to France? Like to re-visit your school French? 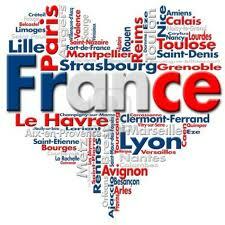 Do you love the sound of the French language? Or do you just love a challenge? We are a group of people who last studied French when we were at school. We often surprise ourselves by remembering things that we did not know we knew. Sometimes we just need to have our memories jogged. Other times we find out something that we didn’t ever know. We do a bit of grammar, a bit of conversation, a bit of French history, geography and architecture. We also do a lot of laughing – often at ourselves. The sessions tend to be stand alone as a regular commitment is not possible for some of us. The group is led by a non-native Francophile with a long term interest in the language, not a qualified French teacher. While this can have its drawbacks, it also means that we all contribute in one way or another to finding out the answer to the question. This, in itself, aids our learning. In order to participate in this group you need to have a reasonable grasp of the basics. Please contact Denise to check whether your recall is suitable. A trail session is recommended before committing to the group. There is no charge directly to you but as we are using the Tavern's facilities for free it is desirable that you buy a coffee from them.